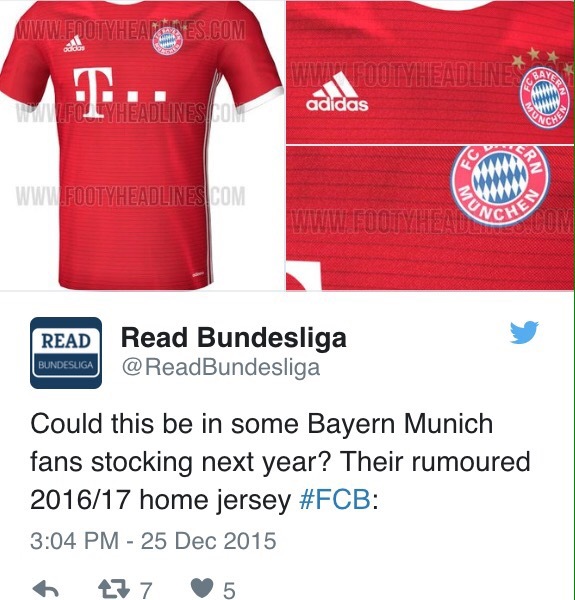 Bayern Munich’s all new 2016/17 home kit has been revealed and it appears to be more of the same for the reigning Bundesliga champions. Thanks to the good people at Footy Headlines, we’ve been given a sneak peek at their upcoming home shirt which features a predominantly red design littered with faint white horizontal stripes. The new shirt is also expected to feature white highlights on the collars and sleeves in keeping with the traditionally predominantly red kits Bayern wear. Adidas, the only ever brand to make Bayern’s kits, only recently announced a record breaking contract extension with the Bavarian giants. 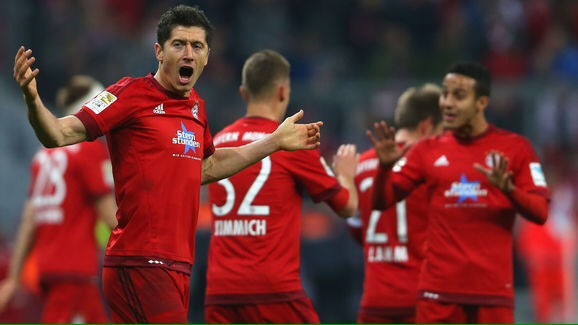 Bayern Munich star turns up to training DRUNK! Their previous agreement ran until 2020 but Adidas announced a new deal that is set to expire in 2030, raising the value of their partnership from an annual €20m to €60m.